What will you do with my sample? “This was our first concern, how to regain and retain trust from the people of Alabama,” says Nakano, who is part of a permanent AGHI working group along with Stephen Sodeke, Ph.D., of the National Center for Bioethics in Research and Healthcare at Tuskegee University, and Thomas May, Ph.D., senior scientist at HudsonAlpha. The group established four guiding principles for all AGHI decisions: transparency, respect, confidentiality, and fairness. The group, which meets monthly in person, focused first on the informed consent document that is signed by all AGHI participants. “Our goal was to explain as clearly as possible” options for participating in the study, and the protections surrounding patient data, Nakano says. Participants can choose to provide a sample but not receive results if any significant findings are discovered; receive the results themselves; share their results with their primary care provider; contribute a sample to the AGHI biobank to aid future research; or a combination of the above. The implications of each option are spelled out. Establishing clear informed consent is crucial for all long-term studies, and particularly those in cutting-edge fields such as genetics. “Technology always advances,” Nakano says. And that means the boundary of what is possible is always shifting. Based on previous studies, AGHI expects to find actionable genetic variations in 1 to 3 percent of participants. But for the other 97-99 percent of the study population, “no result” isn’t equivalent to “no problem,” Nakano says. “An issue that comes up in any genetic testing is how to return results,” she explains. “If we say we found nothing, participants may believe that they are fine. 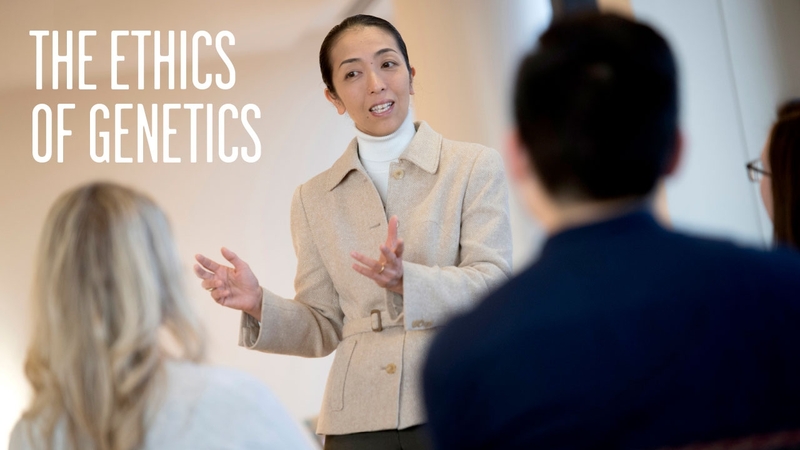 But there are many unknown genetic-related diseases which may not be detected by genetic testing.” Making sure participants understand these facts is a key element of the duties of study coordinators, says Nakano. The AGHI’s ethics working group conducts training for all coordinators, and is available in case questions arise, she notes. “We want to benefit the people of Alabama as much as possible,” Nakano says. “These are complicated messages, and it’s important that we deliver them as clearly as we can.” So far, a small percentage of participants have declined to allow their samples to be stored in the AGHI biobank, but most are eager to contribute to future discoveries. “They’re not just concerned about their own health, but the health of their families and descendants as well,” Nakano says. • Enroll in the Alabama Genomic Health Initiative. • Discover the opportunities for learning and experience in the School of Medicine. • Give something and change everything for the next generation of scientists and clinicians and the patients and communities they will serve.